Hi Lovelies!! Hope you all had a great Thanksgiving last week! Mine wasn’t too bad. I got to throw my first Thanksgiving dinner since the in-laws went away on a trip to Portugal for a relative’s 50th Wedding Anniversary. So stress was inevitable but I was soooooooo EXCITED to throw my FIRST Thanksgiving in my home and wanted everything to be perfect. Of course, that never happens with my luck! 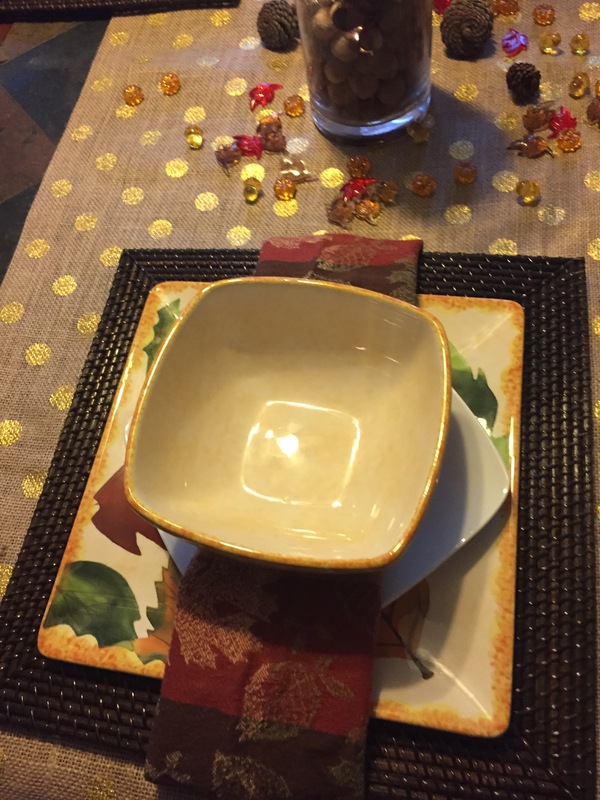 Our friend has quite a few food allergies and I did my best to accommodate them but sad to say the Turkey came out a little bland…..live and learn I guess. Hopefully I’ll have another opportunity too cook for Thanksgiving in the future (if I’m not visiting my family in Florida, then my mother-in-law usually takes over the holidays!). Here is a peak at my table though…..that came out lovely!! I realized I took these photos before putting the glasses and utensils on the table but by then our guests had already arrived. 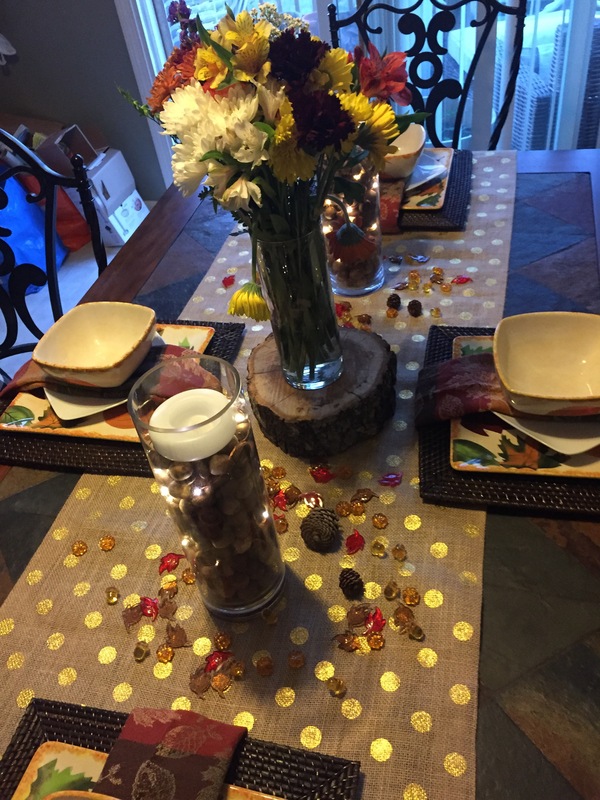 The centerpieces were made from the vases I had leftover from my wedding, with some dried acorns, string lights, and a floating candle for the ones on each end. The center one was just a simple fall bouquet of flowers on top of a tree slab I had kept from my best friend’s woodland themes babyshower. Hope you are all enjoying your week and continue to do so!! I’m spending a couple of days with the hubby at our nations capital, looking forward to posting all about it soon.